“Summit fever” is a mountaineering term that describes the drive or compulsion of a climber to reach the summit of a mountain no matter what the cost. 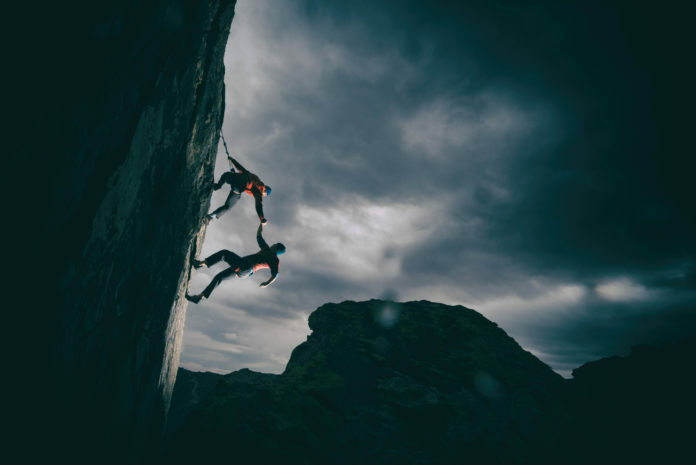 The climber has invested time, energy and resources into their goal, and by the time they have the summit of the mountain in their sight, they are so close to accomplishing the feat that they allow their judgment to be impaired. They make choices toward the top of the mountain that they almost certainly would not have made earlier in their journey. There are two factors that contribute to this impaired judgment: physical environment and psychological impact. How a climber responds to both can be the difference between life and death. Both the environment and the physical state of the climber change throughout the climb. Toward the top of the mountain, the air is thinner, affecting the climber’s breathing. The physical exertion of climbing itself, in combination with the thin air’s impact, causes the climber’s body to become fatigued. From a psychological standpoint, the more time and energy a climber puts into the climb, the more invested they become in its completion. Lower on the mountain, when their time and energy investments are not as great, it’s easier to turn back in the face of changing conditions or emergent risks. But as the hours—or sometimes even days—pass and it seemingly becomes much more difficult to make up for any lost time, the climber may start to feel the impact of schedule pressures. Almost everyone is influenced by the need to drive a task to completion so they can check that box. This compulsion can lead to risk-taking and dangerous or even deadly results. As you have most likely recognized while reading this, the concept of summit fever can be applied to industrial work, particularly when workers are assigned to jobs that are large in scope and personal effort. We become highly invested in our tasks during outages, overhauls, major installations or any other job to which we devote significant time, energy and resources. Just as in mountaineering, we can be influenced both physically and psychologically as we near the completion of a tough job. Although we may not have the physical challenge of thin mountain air, stress and fatigue only increase as our work progresses. This is especially true during maintenance outages or significant overhauls. Often our work schedules shift from our normal eight hours a day, five days a week into 12-hour shifts with no days off until the outage is restored. It’s all hands on deck until the system is up and running and the company is making money again. Toward the end of our climb, we may find ourselves hours, days or even weeks behind schedule, sometimes with a supervisor whose only job seems to be pointing this out to us. These factors will wear individuals down as the job grinds on. Workers—ourselves included—are likely not as energetic or mentally checked-in as they were at the onset of the journey, and this can impair decision-making, potentially leading to incidents and injuries. As I noted earlier, humans have a near compulsion to complete a task that we are heavily invested in. We crave that sense of accomplishment. Without a final product or result, all of our efforts will feel fruitless or futile. We have to see the job to completion; otherwise, what was it all for? It’s not just the schedule pressure that we feel—it’s our own need for a sense of accomplishment that drives us to make risky choices. Be aware of the impact that summit fever may have on your decision-making as you are trying to restore an outage, complete an overhaul or finish any long, difficult job. Recognize that the clear head you had earlier in the process may now be compromised by your fatigue or desire to get the job done. You don’t have to be on the side of a mountain to have your judgment impaired by summit fever. Toolbox Talks offers quick insights and thoughts to use for your toolbox (tailboard) talks. 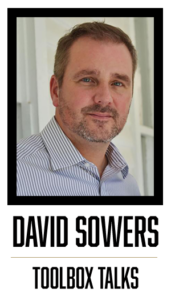 Dave Sowers is a founding member of Knowledge Vine, a veteran-owned human performance training and consulting organization that strives to reduce the frequency and severity of human errors in the workplace. He has almost 30 years of experience in power generation and the utility industry. He is a veteran of U.S. Navy Nuclear Power Program and holds a bachelor’s degree in resources management and a master’s degree in both management and emergency management and homeland security.